NaturalMotion’s CSR Racing 2 has been creating quite a buzz since its release on iOS and Android. 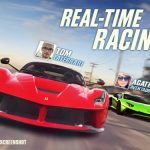 While its predecessors were quietly successful, the hype behind CSR 2 has been quite remarkable, as many believe it simply represents the ultimate in mobile drag racing games. In this game, you play a rookie driver hired by a garage whose entire car collection was stolen, and it’s your job to take down the racing crews in your area, defeating them in races, buying more cars, and upgrading your existing ones as you move from crew to crew. And boy, does this game have a lot of cars – previous titles had everything available for either cash or gold, but this time, there are a good many cars that are so rare you would need to unlock them with a golden or a silver key – that’s a premium currency form of sorts that allows you to unlock less common cars and parts. 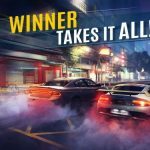 Now, that we’ve recapped CSR 2 for your convenience, we shall now move on to our next list of CSR Racing 2 hints, tips and tricks, where we show you how to unlock the different vehicles in the game. And when we say different vehicles, we mean each and every car in the game, from Tier 1 to Tier 5. 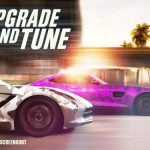 QUICK REMINDER: This list covers all the cars in the game, identifying each of them by their tier, their cost in cash and/or gold, and what you’ll need to do in order to unlock them, should they not be available through conventional means. We also should mention that CSR 2 has a dynamically changing list of races; for example, the rewards in one Crew Championship might be different in the next. 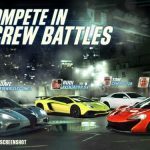 There is, in addition, the possibility that new cars will be added when NaturalMotion updates CSR 2, as well as the possibility that cars once available on through crew events will be made available in the crates, or vice versa. A lot is subject to change, but for the meantime, this list is 100 percent accurate as of Saturday, July 9, 2016.